Wilmington, DE – AHEPA Supreme President George Loucas has been an advocate of recognizing and celebrating AHEPA’s unique “Boots on the Ground.” With over 500 chapters worldwide, the power of AHEPA is in its ability to move our grassroots to do great things in the community. Earlier this year, the boots on the ground were the Hellenic Wildfire Relief. 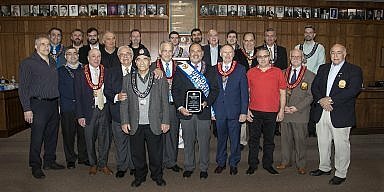 Throughout the year more veterans have been helped by chapters in the Wounded Warriors program that was featured most recently at January’s Los Angeles AHEPA Regional Banquet. As the calendar turned to February, AHEPA celebrated one of its biggest boots, in one of our nation’s smallest states. On February 2, 2019, AHEPA celebrated its Ahepa Odyssey Charter School at the famed Wilmington Country Club in Wilmington, Delaware. Some 200 invitation-only guests came together for this benefit Gala. It wasn’t just a local affair either. 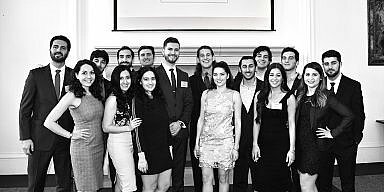 Ahepans from California to Atlanta to Thessaloniki came to celebrate a spectacular evening. From last year’s Supreme Convention highlighting the school to a special feature update in the most recent winter edition of The Ahepan, the success was a culmination of the dedication and commitment AHEPA has to two of its core principles, Hellenism and Education. Earlier in the day members of the Supreme Lodge and guests were given a tour of the Educational Campus. The Supreme Lodge toured the school grounds, including classrooms, science labs, and music rooms. The 36-acre campus includes six buildings totaling 360,000 square feet. AHEPA was squarely in the forefront throughout the campus, with its logo and other displays demonstrating AHEPA was and is crucial to the growth and property acquisition at the campus. The lodge was introduced by District 5 Governor Dimitrios Rozanitis and AHEPA’s most recent international Ahepan of the Year school President Dimitri Dandolos. The master of ceremonies was Executive Director Basil Mossaides. Event Chair Dimitri Dandalos recognized that The Regional Gala was an event without admission as the cost of the evening was underwritten by monies raised from Ahepa Board Vice Chair PSP Carl Hollister and Supreme Secretary George Horiates. The keynote speaker was the Chancellor of Aristotle University in Thessaloniki, Professor Pericles Mitkas. Dr. Mitkas, a 25-year Ahepan as well, announced the special collaborative relationship developed between Odyssey and the largest University in Greece. In turn, he introduced Dr. Marina Matheodakis, the Dean of the Immersion Language Program. In striking moments, non-Greek grade school students sang the Greek national anthem and high school student ambassadors provided the crowd with presentations in English and Greek on their experiences at the school. 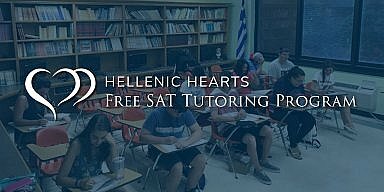 Odyssey has an enrollment, tuition-free, of over 1700 children, k to 12, learning Greek. The high school children thanked AHEPA for providing them with a future. The diverse student population represents a high percentage of minority, low-income families and students with special rights. Grand President Demi Thomas commended education in both languages with the installation of Hellenic values to our future generations. Supreme President George Loucas provided concluding remarks discussing the impact of the school and the hopes and dreams of spreading this superior form of promoting Hellenism across the country. It’s easy to see why. The school consistently places in the top 10 schools for standardized testing. 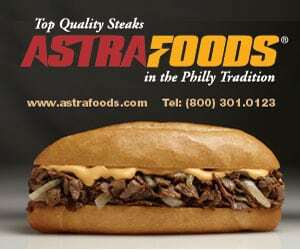 This past year, AHEPA Odyssey Charter School was named the number one public school in Delaware.